During the Holocaust, the Nazis systematically murdered more than six million Jews. 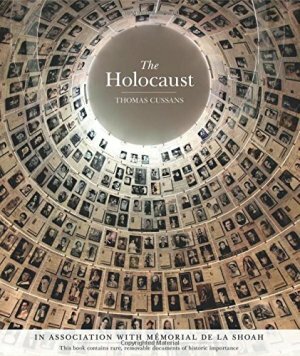 This commemorative volume, published in association with Mémorial de la Shoah, France’s memorial museum on the Holocaust, strives to understand the historical context behind these unimaginable crimes. It extends from Jewish life before the Third Reich to the Allies' liberation of Europe, looking at the spread of Nazism in Europe, the death camps such as Auschwitz, the perpetrators, the witnesses, the escapees, the refugee havens, the Resistance, and the Righteous who risked their own lives to save others. Fifteen removable documents take us beyond the horrifying statistics to remind us that each number was a person.